Despite over two thousand Brus from 432 families have agreed to return to Mizoram, home department officials are apprehensive of their return after Mizoram Bru Displaced People Forum (MBDPF) boycotted the repatriation process. Earlier the home department of Mizoram has stated that around 2,753 people belonging to 423 families from three relief camps have expressed their willingness to return to Mizoram during the identification process. 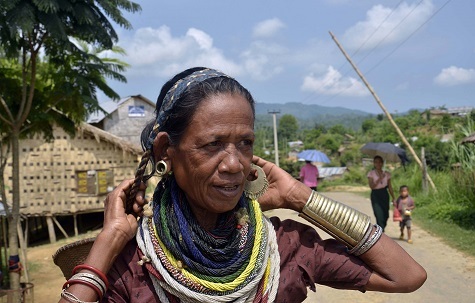 Official reports from the camps said that 415 families from Kaskau camp, five families from Khakchangpara camp, six from Hamsapara camp have agreed to return, but on the day of the proposed repatriation on Saturday only nine families were ready to be repatriated. The Bru families will be resettled in Mamit, Kolasib and Lunglei districts. Mizoram Bru Displaced Peoples Forum (MBDPF) president A Sawibung said they have no objection to families willing to return to Mizoram. The Equal Package Demand Committee, a group formed by the already repatriated families, demanded equal rehabilitation package and threatened to boycott the process. Committee chairman Elvis Chorkhy told Northeast Now that they may allow the repatriation for a couple of days to show their sincerity to the request of the government during a meeting in Damcherra on August 10 but would launch agitation if the government fails to fulfill their demands.